RIVERSDALE Leisure Centre in Strabane has extended its opening hours to facilitate early morning swimming, gym and class users. The leisure centre will, from this week, open from 6.30am every Monday, Wednesday and Friday in response to the increase in demand for early morning activities. Paul Tamati, leisure and sports services manager with Derry City and Strabane District Council said the new opening hours are good news for local users and comes just weeks ahead of the completion of major refurbishment works at the centre. “We are delighted to be opening from 6.30am three days a week and to be in a position to offer our users early morning access to our facilities,” he said. “The centre is undergoing a £150,000 refurbishment works that includes the upgrading of changing facilities, the installation of new lockers and cubicles and the repainting of the building interior. We anticipate this work will be completed in the next few weeks and hope to announce details of a family fun day and 40th anniversary celebrations to be held later in the month,” he added. Strabane Sinn Féin councillor Karina Carlin has welcomed the commencement of early opening. In April, Cllr Carlin received the backing of the Health and Communities Committee and then full council for her proposal for the early opening hours move. 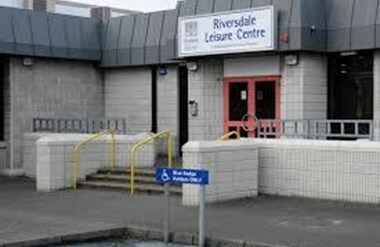 “The issue of extended opening hours at Riversdale was an issue I have been contacted about by gym service users and others seeking wider pool access particularly in regards to early morning provision as well as being lobbied on related issues on behalf of Riversdale Otters… I was delighted back in April when my proposal received the backing of council. “I was therefore delighted that both the committee and full council adopted my extended opening hours proposal which will operate initially on a year pilot basis. The estimated cost of the additional opening hours is £40,000.